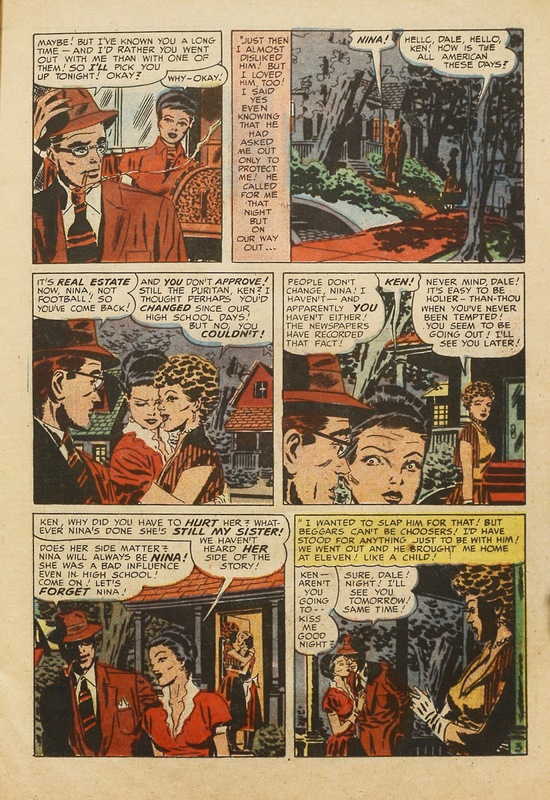 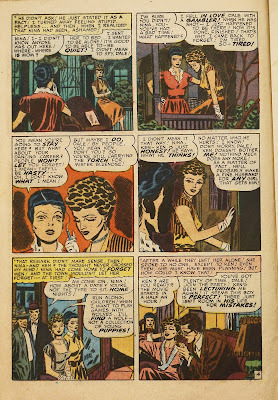 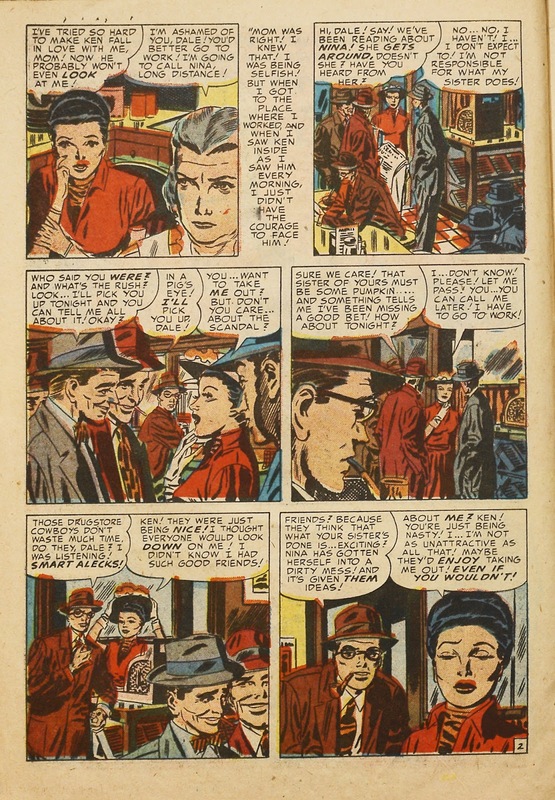 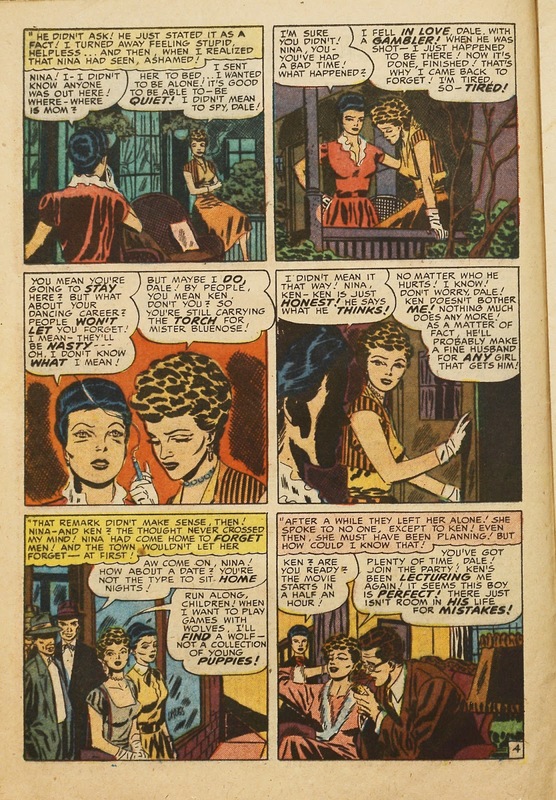 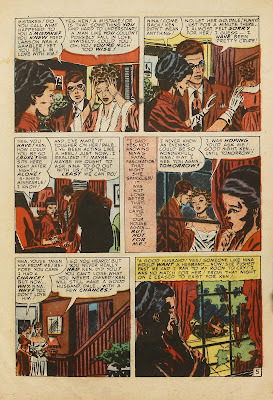 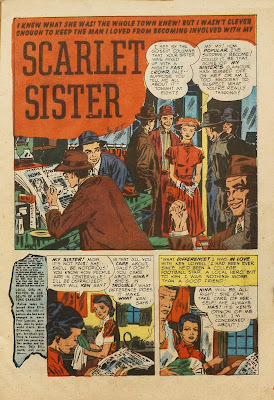 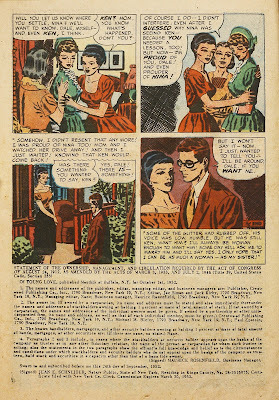 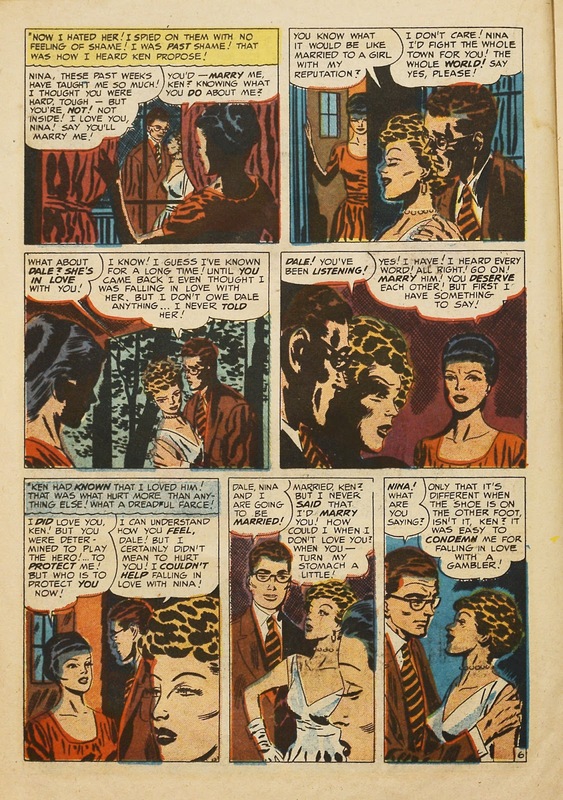 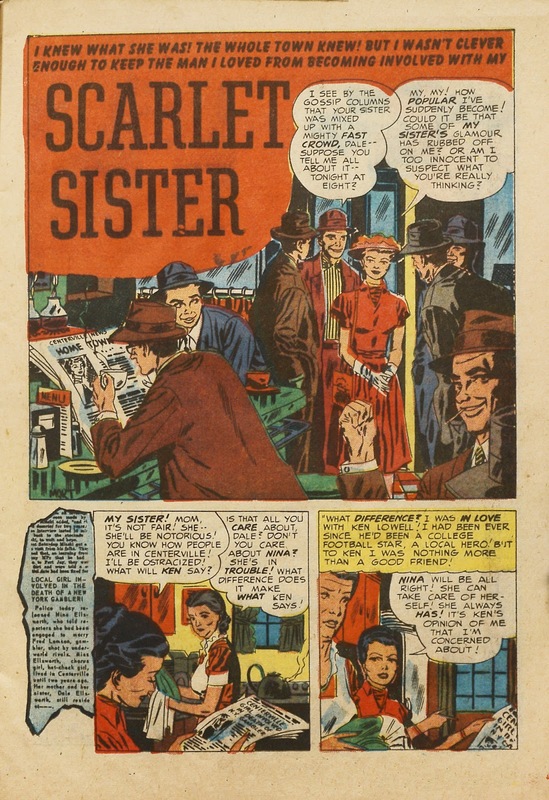 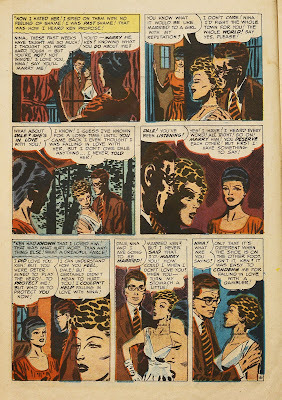 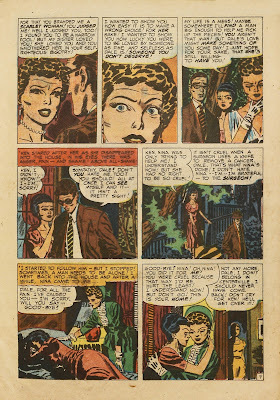 This story from Young Love #42 is still from the early part of Meskin's career at Prize. If you go back to my other posts, you can see he was still working in a style that is very similar to the one he used with Jerry Robinson. But in such a way that I actually miss the finesse Robinson would bring. 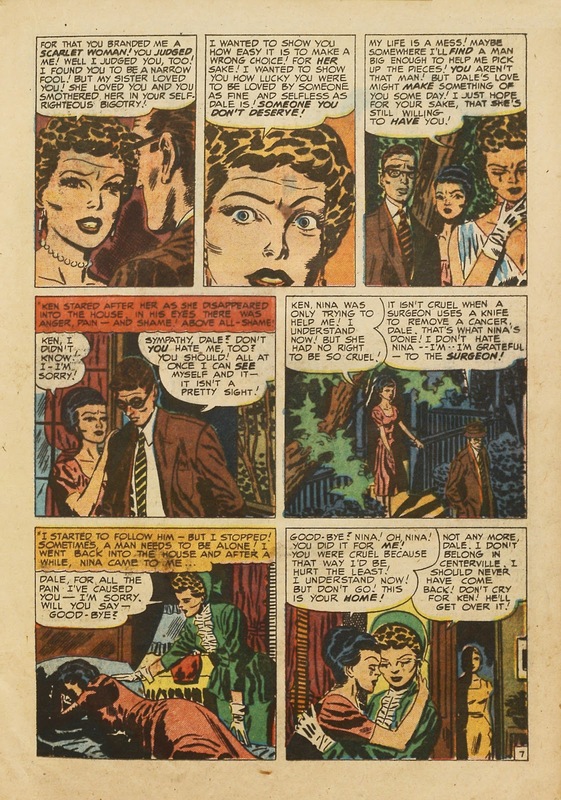 Later on, he would simplyfy his style and repaced the lack of detail with a graphic boldness that worked a lot better.